ALL TEXT ARE EDITABLE. Beautiful sunflower theme especially nice for fall season. 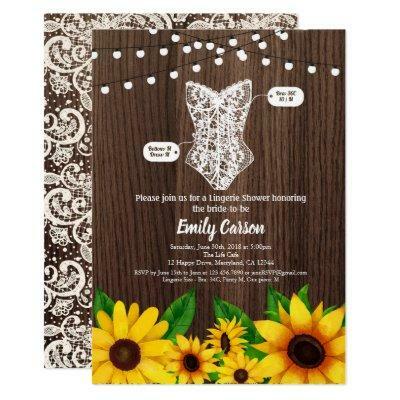 Rustic wood and lace lingerie shower invitation with elegant touch of gold. Perfect for lingerie / bridal shower.